Tipard DVD Ripper is a powerful DVD-converting application to help users enjoy any kind of DVD movie without the limitations of time and place. Tipard DVD Ripper was available as a giveaway on July 24, 2011! Tipard DVD Ripper is a powerful DVD-converting application to help users enjoy any kind of DVD movie without the limitations of time and place. With deciphering and converting functions, this DVD converter can rip any DVD to many popular video and audio formats. Plus, after newly upgrade, it has adopted AMD APP Acceleration, which can give users better and faster converting experience! Note: Only for Giveaway of the Day users, Tipard specially provides a 50% off coupon: TIPA-YJM (Jul 24th – Jul 26th), and users can purchase all Tipard software products at 50% off. Of course, the bargain-priced products are no exception. How would you improve Tipard DVD Ripper? Improve your Website rating: WOT says it's 'Very poor' and not to be trusted, right across the board. This is a newly-released product, which can remove various DRM protections from any kind of Blu-ray disc. After deciphering, users can easily rip Blu-ray movie to many other video and audio formats on Mac. Plus, this Mac Blu-ray ripper can also convert DVD and video file. This is a practical video converter specially designed for video camera users. Highly supporting Sony, JVC, Panasonic HD video cameras, this MTS converter can convert all MTS video files recorded by those cameras to AVI, 3GP, WMV, FLV, MP4, MPG and all other videos that compatible with portable devices and mainstream video players. This professional iPhone transfer enables users to transfer music, movie, Pictures, TV Shows, Podcast, iTunes U, eBooks, Camera Roll, Ringtone, SMS, Contacts, Voice memos, Camera shot files from iPhone to PC or iTunes at random. In addition, the Backup function can save all iPhone SMS/Contacts as database files to PC for safety. As a 5-in-1 iPad software product, Tipard iPad Software Pack contains DVD to iPad Converter, iPad Video Converter, iPad Transfer Pro, iPhone Manager for SMS and iPhone Ringtone Maker 5 products. With this iPad suite product, users can convert any DVD or video to iPad compatible formats, transfer music/movie/image between iPad and PC, backup and delete iPhone SMS and contacts, and create personalized iPhone ringtone for fun. Tipard DVD Software Toolkit contains DVD Ripper, Video Converter, iPod Transfer Pro, iPhone Ringtone Maker and DVD Cloner 6 five software products, which can rip and convert any DVD or video file to mainstream formats, transfer media files between iPod and PC, make personalized iPhone or iPhone 4 ringtone and clone DVD movie to DVD in 1:1 ratio, compress DVD-9 to DVD-5, and clone DVD to DVD folder or ISO image file in perfect quality. Downloaded, installed and registered software without problem. Then took it for a test drive and ripped a couple of DVDs without problem. I've been using DVDFab for some time and there are occasionally DVDs that for whatever reason I cannot rip and DVDFab is terribly slow. I've tried alternatives which are faster but was not always satisfied with them for other reasons. I threw in a DVD that I just haven't been able to rip with any other program and Tipard DVD Ripper created a one gig file without problem. This program seems to be as simple as I am, yet able to do what others couldn't, for me at least so I took a step I've not taken before on a GOTD program. I paid the money to buy the program. Thanks GOTD! @ #23 - MAC Hater: Don't be hating, we are here so we can save money for our next MAC . . . I use both, and it takes effort to have a MAC crash on you - unlike the Win OS-based machines. If you are into video production, or digital DJing, then MAC is the way to go. @ #23 - MAC Hater: Don't be hating, we are here so we can save money for our next MAC . . . I use both, and it takes effort to have a MAC crash on you - unlike the Win OS-based machines. If you are into video production, or digital DJing, then MAC is the way to go. AMD APp something like this it went so fast that i need to Down load this i click ok thought it was taking me to it but instead to site still could not locate useing a windows 7 laptop. Although, i have installed another professional dvd ripping software called snowfox dvd ripper, but i still tried this one. As mentioned above, works pretty well on my computer, but i found the conversion speed isn't very fast than the dvd converter i have tried ever before. A good aspect is that converter provides NVIDIA CUDA technology and AMD APP Acceleration, so i gives a thumbs-up. Downloaded & installed on XP-sp3 with no problem. The bit that I have read here I can tell already that I will Love this software. I was needing a tool like this to grab some audio from a DVD. Thanks GOTD for what looks to be another great keeper. I also want to Thank those of you who put some well detailed posts here today (& other days). I am just learning how to do this stuff (long process) so I really appreciate the insight and the sharing of information. Now that I am recently disabled I have dug out my hundreds of DVDs from the storage closet & having lots of fun rediscovering and playing with them! Downloaded &amp; installed on XP-sp3 with no problem. The bit that I have read here I can tell already that I will Love this software. I was needing a tool like this to grab some audio from a DVD. Thanks GOTD for what looks to be another great keeper. I also want to Thank those of you who put some well detailed posts here today (&amp; other days). I am just learning how to do this stuff (long process) so I really appreciate the insight and the sharing of information. Now that I am recently disabled I have dug out my hundreds of DVDs from the storage closet &amp; having lots of fun rediscovering and playing with them! Installed and register on XP3-Pro. Nice, it allows you to use your name using the key provide it. Tested using a History Channel DVD & one of my kid DVD's (Angelina Ballerina) for wich I have bought twice since the first one she loved so much that ended all scrached and unviewable. Work really nice on both of them. So for me is a keeper. For those who are afraid of suspecious beheivor of the program .. instal a Firewall. I use Ashampoo Firewall that was provided here a long time ago and I am very happy with it. Also check your ActiveX setting and do not use the automatic default settings. Mike you might want to take the word of someone who has actually installed this software and it's clones before making statements that aren't correct. Being critical of others posts while making statements that aren't based on fact is poor way of showing your "expertise". You obviously haven't used this software and it seems you aren't aware of leftover registry entries left by this companies product. I stand by my statements. Based on experience with this product, not guesswork. Maybe you could try the offering and see what happens instead of making comments not based on fact? This is why GOTD needs to modify it's method of posting comments...it should indicte if the comment comes from someone who actually installed the offering. # 30 Referring to post #11 (my post) Mike you might want to take the word of someone who has actually installed this software and it's clones before making statements that aren't correct. Being critical of others posts while making statements that aren't based on fact is poor way of showing your "expertise". You obviously haven't used this software and it seems you aren't aware of leftover registry entries left by this companies product. I stand by my statements. Based on experience with this product, not guesswork. Maybe you could try the offering and see what happens instead of making comments not based on fact? This is why GOTD needs to modify it's method of posting comments...it should indicte if the comment comes from someone who actually installed the offering. Sorry, but I get so tired of those who treat WOT ratings as Gospel! Aren't you people aware that many consider WOT to be just another SCAM? Haven't you even bothered to research it using Google?
. Sorry, but I get so tired of those who treat WOT ratings as Gospel! Aren't you people aware that many consider WOT to be just another SCAM? Haven't you even bothered to research it using Google? Here, let me save you some time: http://www.google.com/m/search?pbx=1&amp;q=WOT+scam+&amp;flip=0 . Awesome, works great!!! And folks, uninstall WOT, and install Tipard! darn, link in my previous comment got mangled,lost the hash-sign in @sarx. And sorry for the double-post. darn, link in my previous comment got mangled,lost the hash-sign in <a href="#comment-237260" rel="nofollow">@sarx</a>. And sorry for the double-post. Tried it out, but couldn't find anything mencoder can't do for me. Tipard doesn't offer half the flexibility and features mencoder does, but I've been using mencoder for years now so I'm a bit biased. No difference in quality (theoretically), as they both use the ffmpeg lib. But if you're not into shell scripting then mencoder is not for you. Well then Tipard DVD ripper, although generic in approach, looks quite promising. Uninstalled anyway, but a friend of mine seems very happy with Tipard thus far. @sarx in web 2.0 opinions > discussions. Tried it out, but couldn't find anything mencoder can't do for me. Tipard doesn't offer half the flexibility and features mencoder does, but I've been using mencoder for years now so I'm a bit biased. No difference in quality (theoretically), as they both use the ffmpeg lib. But if you're not into shell scripting then mencoder is not for you. Well then Tipard DVD ripper, although generic in approach, looks quite promising. Uninstalled anyway, but a friend of mine seems very happy with Tipard thus far. <a href="comment-237260" rel="nofollow">@sarx</a> in web 2.0 opinions &gt; discussions. As has been stated by many before this program does bear an uncanny resemblance to Aiseesoft Total Video Contertor. However, it specializes in converting DVD's to other formats. Whilst I may not use this software straight away, I have been thinking about copying all of my kids DVDs onto a media server so that they can watch them back to back without us needing to be constantly changing over discs. This software could be perfect for that and it's not something I've ever seen around before. Thanks very much GOATD and Tippard Studio for this great software giveaway. As has been stated by many before this program does bear an uncanny resemblance to Aiseesoft Total Video Contertor. However, it specializes in converting DVD's to other formats. Whilst I may not use this software straight away, I have been thinking about copying all of my kids DVDs onto a media server so that they can watch them back to back without us needing to be constantly changing over discs. This software could be perfect for that and it's not something I've ever seen around before. 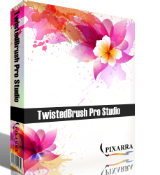 Thanks very much GOATD and Tippard Studio for this great software giveaway. AV says no digital signatures; get error message with AMD graphics. Not worth the hassle. Didn't have that with the Tipard converter. Uninstalled with RestoreIT that was offered here recently and it worked. what you have to say - you get a No to "did you find this comment useful" What's with that? AV says no digital signatures; get error message with AMD graphics. Not worth the hassle. Didn't have that with the Tipard converter. Uninstalled with RestoreIT that was offered here recently and it worked. Noone bothers to answer questions here. If they don't like what you have to say - you get a No to "did you find this comment useful" What's with that? I like it. As mentioned, this is a virtual copy of Aiseesoft Blu-ray Ripper. However, for me at least, this works better. Specifically, the program offers two ways to load a DVD, as dies Aiseesoft Blu-ray Ripper, the recommended way, and the (apparently) old fashioned way. On my machine, Aiseesoft Blu-ray Ripper would not load my DVDs the recommended way, I had to use the second-class way. The result: whether it's due to the fact that Tipard would load my DVDs the recommended way or not, Tipard is much faster. About twenty percent faster. I just ripped a three hour DVD in under 29 minutes. @4...I would'nt judge a site by WOT ratings, they have long been exposed for the bias they have shown to numerous clean sites. In fact WOT is being sued by 12 U.S websites for defamation. OH..I forgot, this software is excellent ! @4...I would'nt judge a site by WOT ratings, they have long been exposed for the bias they have shown to numerous clean sites. In fact WOT is being sued by 12 U.S websites for defamation. OH..I forgot, this software is excellent ! #15 Big difference. DVD Ripper allows you to take a DVD movie and convert it to an MPEG1 or MPEG2, and several dozen more types of files. I just downloaded and converted a 1hour and 40 minute movie to MPEG1. Took just about 40 minutes to do so. The quality was fantastic. In a "normal" converter (as in the Tippard MOD Converter, Format Factory and many others) you have to convert each VOB file separately and then edit them all together to create 1 file. A DVD ripper does all that at once, so your end product is 1 large continuous file. Also this allows you to do editing of the movie as well. Download, Install, and Registration went smooth. Again another high rated program of 687 thumbs up yet only 15 comments at the the time I typed this. So with that said here is my 2 cents. Tipard DVD Ripper seems to be a Powerful ripping program. Tipard Gives you many choices to convert your favorite videos to almost any existing format Some examples are MP4,AVI,FLV,SWF,Xvid,Divx, and HD etc etc. The program itself is easy to use and has a learning curve I would rate easy. The DVD Ripper has some nice features available such as you can convert 1 video into multiple files at once and Crop, trim, merge, along with watermark your video's. The last one I especially like as it will come in Handy for advertising your website or give you some form of copyright protection if your converting your own Personal Videos from a digital source as a camera, or digital Camcorder. The converting time is of average speed and will take almost the same time as if you were watching the DVD. It has a nice preview box while Ripping the DVD and gives you a progress bar and the amount of time that has past and how much time is left. This is also a good feature I find because you could use this Ripper in conjunction with Smart Sleep that was just given away a few days ago and set smart sleep a little time after the DVD has finished converted to shut down your system if you just want to leave the computer for any length of time. Over all I would Recommend Tipard DVD Ripper and Give it a Thumbs Up. Thank you GOTD and Tipard for the Exellent Download Today. Running Windows Vista Premium Download, Install, and Registration went smooth. Again another high rated program of 687 thumbs up yet only 15 comments at the the time I typed this. So with that said here is my 2 cents. Tipard DVD Ripper seems to be a Powerful ripping program. Tipard Gives you many choices to convert your favorite videos to almost any existing format Some examples are MP4,AVI,FLV,SWF,Xvid,Divx, and HD etc etc. The program itself is easy to use and has a learning curve I would rate easy. The DVD Ripper has some nice features available such as you can convert 1 video into multiple files at once and Crop, trim, merge, along with watermark your video's. The last one I especially like as it will come in Handy for advertising your website or give you some form of copyright protection if your converting your own Personal Videos from a digital source as a camera, or digital Camcorder. The converting time is of average speed and will take almost the same time as if you were watching the DVD. It has a nice preview box while Ripping the DVD and gives you a progress bar and the amount of time that has past and how much time is left. This is also a good feature I find because you could use this Ripper in conjunction with Smart Sleep that was just given away a few days ago and set smart sleep a little time after the DVD has finished converted to shut down your system if you just want to leave the computer for any length of time. Over all I would Recommend Tipard DVD Ripper and Give it a Thumbs Up. Thank you GOTD and Tipard for the Exellent Download Today. #3: "Comparing this to the various editions of the Aiseesoft ripper software that have been given away here previously, you can see that this is clearly (a slightly more recent version of) the same program, just with a different skin applied." #7: "Did anyone notice that this software is 99.9% equal to Aiseesoft Blu-ray Ripper. Really, only UI graphic is a little bit different, but layout is same, functionality is same, even app directory structure / files are same. I dont know but this smells.."
Both use ffmpeg & QT, so there are ffmpeg & QT files with the same names -- otherwise the files are different, folder names, number of folders etc. don't match up. #11: "... I know most of the GOTD converters and rippers come from the same company, so I had to uninstall 4 others I’ve got from GOTD in the past. They were the same as this offering but older. It’s like pressing an “UPGRADE” button but leaves a bunch of trash in the registry. " Most of the converters/rippers use ffmpeg code & often similar GUI designs, but while I can't say who owns what company, most of the converters are different from one brand to the next. As far as the registry goes, most have very minimal impact, with many having no impact at all beyond an uninstall key. Likewise most have zero overlap with the possible exception of the QT Trolltech cache entries. #14: "There are many formats to choose from, all of them are designed for various phones and similar portables, but the wmv format I chose worked fine on the computer as well." FWIW the H264 codec is much more advanced, & will play in the free VLC player on your PC/laptop at I think much better quality with smaller files as a bonus (depending on the bit rate used). #15: "I’m wondering what the difference is between this and Tipard Video Converter that was offered oh…a month or so ago... "
Video converters normally accept files, so if you want to import a DVD you'll have to import the movie's VOB files from the VIDEO_TS folder that you used some other app [e.g. DVDFab] to copy to your hard drive. Tipard DVD Ripper imports the DVD itself, on disc or drive, but won't import individual files. Of the 2 different types of converters, those that accept files are more flexible -- you can always use DVD Shrink to copy a DVD on your hard drive to another folder with just a single VOB file, & import that. OTOH having both means you don't have to. Also bear in mind that the ffmpg code these apps are based on is under continual development, so newly released apps/versions might have newer code inside -- that in & of itself can be better or worse [mistakes happen]. #3: <em>"Comparing this to the various editions of the Aiseesoft ripper software that have been given away here previously, you can see that this is clearly (a slightly more recent version of) the same program, just with a different skin applied. "</em> #7: <em>"Did anyone notice that this software is 99.9% equal to Aiseesoft Blu-ray Ripper. Really, only UI graphic is a little bit different, but layout is same, functionality is same, even app directory structure / files are same. I dont know but this smells.."</em> Both use ffmpeg &amp; QT, so there are ffmpeg &amp; QT files with the same names -- otherwise the files are different, folder names, number of folders etc. don't match up. * * * #11: <em>"... I know most of the GOTD converters and rippers come from the same company, so I had to uninstall 4 others I’ve got from GOTD in the past. They were the same as this offering but older. It’s like pressing an “UPGRADE” button but leaves a bunch of trash in the registry. "</em> Actually yes &amp; no -- mostly no... Most of the converters/rippers use ffmpeg code &amp; often similar GUI designs, but while I can't say who owns what company, most of the converters are different from one brand to the next. As far as the registry goes, most have very minimal impact, with many having no impact at all beyond an uninstall key. Likewise most have zero overlap with the possible exception of the QT Trolltech cache entries. At any rate an analogy might be to blogs -- there are loads of blogs out there, many using Wordpress, many of those using the same design themes, but I'd hardly call any of them identical. :-) * * * #14: <em>"There are many formats to choose from, all of them are designed for various phones and similar portables, but the wmv format I chose worked fine on the computer as well. "</em> FWIW the H264 codec is much more advanced, &amp; will play in the free VLC player on your PC/laptop at I think much better quality with smaller files as a bonus (depending on the bit rate used). * * * #15: <em>"I’m wondering what the difference is between this and Tipard Video Converter that was offered oh…a month or so ago... "</em> Video converters normally accept files, so if you want to import a DVD you'll have to import the movie's VOB files from the VIDEO_TS folder that you used some other app [e.g. DVDFab] to copy to your hard drive. Tipard DVD Ripper imports the DVD itself, on disc or drive, but won't import individual files. Of the 2 different types of converters, those that accept files are more flexible -- you can always use DVD Shrink to copy a DVD on your hard drive to another folder with just a single VOB file, &amp; import that. OTOH having both means you don't have to. Also bear in mind that the ffmpg code these apps are based on is under continual development, so newly released apps/versions might have newer code inside -- that in &amp; of itself can be better or worse <em>[mistakes happen]</em>. "... is a powerful DVD-converting application to help users enjoy any kind of DVD movie without the limitations of time and place." So if you tend to be mobile and like your DVDs with you, then this should be of interest. @Theo #15 I trust you have reread the introduction, but if not - "... is a powerful DVD-converting application to help users enjoy any kind of DVD movie without the limitations of time and place." i.e. you can convert a DVD into media file or files to watch on media players, phones, have multiple movies on a single DVD disc for mobile use, use on portable PCs and more ... So if you tend to be mobile and like your DVDs with you, then this should be of interest. Loaded and registered flawlessly. Kudos to Tipard and GAOTD for not embedding BING or other superfluous unwanted add-ons to their package! "AMD APP Acceleration" not had chance it check this product out, but with Tipard Video Converter, a PC with AMD 1.6Ghz CPU (Semperon 2400 ?) is about 30% faster than a 2.8Ghz dual core Intel HT etc ! (with other converters, it is the opposite way round, as would be expected). So I will be looking forward to trying this later (when I have some time). Something interesting - "AMD APP Acceleration" not had chance it check this product out, but with Tipard Video Converter, a PC with AMD 1.6Ghz CPU (Semperon 2400 ?) is about 30% faster than a 2.8Ghz dual core Intel HT etc ! (with other converters, it is the opposite way round, as would be expected). So I will be looking forward to trying this later (when I have some time). If you picked up DVDFab when it was on GOTD earlier this year, it'll probably do better getting a DVD on your hard drive, plus you can grab just the movie [which is all you'd want for your cell or handheld anyway], but whatever convertor you'd use to transcode for your cell/hand-held is up to you, & once it's on your hard drive today's GOTD will handle it just fine. That said, Tipard DVD Ripper should work with DVD Discs too -- it just doesn't have DVDFab's long track record so I can't say it'll handle every disc, or if it'll be updated to handle future discs. As far as selecting video on a DVD to transcode, Tipard DVD Ripper shows you every video available but does not tell you which one is the movie you want -- deselect everything, preview the longest video, & then once you're sure select it. This isn't necessarily bad since it allows you to transcode any extra features as well, but it can be confusing. Choosing an audio &/or sub track can be confusing too -- usually they're in the same order as on the DVD, so play it normally, check out the setup menus, & make some quick notes if you need to before using Tipard DVD Ripper. And if you find the whole thing just a bit too confusing, maybe give DVD Shrink a try, copying just what you want to another folder on your hard drive -- it doesn't take long, if you copy rather than shrink it won't effect quality, & when you're done you'll only have the video, audio, & optionally subs that you want, so nothing to bother choosing in Tipard DVD Ripper. [Yes it's extra work, but you'd probably like another cup of tea or coffee anyway :-)]. Now as far as Tipard DVD Ripper compared to other rippers/converters... There's not a lot of difference between today's app & lots of others that have been on GOTD -- it uses ffmpeg & QT, it's self-contained [no add-ons to install], & it uses a common sense if generic sort of GUI, where one step follows the next, & everything's well laid out. There might be some difference in the profiles that cause video from one to work better on your device than video from another, & one might be slightly faster than the competition, but not everyone is going to bother to check -- IMHO it's a matter of how much available time you have & how much a little more speed &/or quality matter to you personally, so if either is important & you have the time, by all means check out Tipard DVD Ripper. Installation isn't bad, though it's not completely portable like some of the Wonderfox alternatives... Tipard DVD Ripper does use the registry rather than .ini &/or .xml files to store settings, but we're talking just one key for the app, & one for uninstall [I recorded 174 total new entries, keys + values including the QT Trolltech cache]. The "Tipard Studio" program folder holds 90 files, 8 folders, taking up ~60 MB -- if space is an issue, after backing up that folder maybe try the PortableApps.com App Compacter, which usually cuts the disk space these converters use roughly in half. Three more "Tipard Studio" folder were added: 1 to All Users App/Application Data, another was placed under User Local App/Application Data, with a 3rd found under My Documents. Tipard DVD Ripper is a nice video convertor that accepts DVDs for input rather than regular video files. It includes some minor editing features like contrast/lightness, lets you trim video &amp; add watermarks, &amp; has a good selection of output formats in profiles for many hand held devices &amp;/or cells. It can convert 5.1 audio to stereo, lets you choose the audio track to use, &amp; lets you select a subtitle track as well, permanently overlaying selected subs on the output video. Films are shot at 24 [often shown as 23.976] fps, &amp; most DVDs use a trick called pull-down, embedding instructions in the mpg2 video file to repeat frames to get the 29.976 fps US TVs need -- Tipard DVD Ripper can detect this, &amp; only transcode the original, 24 fps frames, which means smaller file sizes. Both Nvidia &amp; AMD/ATI graphics chip hardware acceleration is included, but running a AMD/ATI 6870 graphics card it was worse than useless -- not only did it not use the GPU, it limited CPU% to ~25, and was estimated to take 10+ min. to transcode a 10 min. clip... turning it off CPU% was 75-90 &amp; the same job took just over 2 min. to complete <em>[I still give the devs kudos for trying]</em>. By means of comparison, Roxio's converter took the same amount of time to finish the same job, but CPU% dropped to the 45 range, with the graphics chip doing the remainder of the work. <em>[Using less CPU means cooler temps in the hot summer months, but OTOH using the CPU rather than the graphics chip is usually higher quality. ]</em> If you picked up DVDFab when it was on GOTD earlier this year, it'll probably do better getting a DVD on your hard drive, plus you can grab just the movie [which is all you'd want for your cell or handheld anyway], but whatever convertor you'd use to transcode for your cell/hand-held is up to you, &amp; once it's on your hard drive today's GOTD will handle it just fine. That said, Tipard DVD Ripper should work with DVD Discs too -- it just doesn't have DVDFab's long track record so I can't say it'll handle every disc, or if it'll be updated to handle future discs. As far as selecting video on a DVD to transcode, Tipard DVD Ripper shows you every video available but does not tell you which one is the movie you want -- deselect everything, preview the longest video, &amp; then once you're sure select it. This isn't necessarily bad since it allows you to transcode any extra features as well, but it can be confusing. Choosing an audio &amp;/or sub track can be confusing too -- usually they're in the same order as on the DVD, so play it normally, check out the setup menus, &amp; make some quick notes if you need to before using Tipard DVD Ripper. And if you find the whole thing just a bit too confusing, maybe give DVD Shrink a try, copying just what you want to another folder on your hard drive -- it doesn't take long, if you copy rather than shrink it won't effect quality, &amp; when you're done you'll only have the video, audio, &amp; optionally subs that you want, so nothing to bother choosing in Tipard DVD Ripper. <em>[Yes it's extra work, but you'd probably like another cup of tea or coffee anyway :-)]</em>. Now as far as Tipard DVD Ripper compared to other rippers/converters... There's not a lot of difference between today's app &amp; lots of others that have been on GOTD -- it uses ffmpeg &amp; QT, it's self-contained [no add-ons to install], &amp; it uses a common sense if generic sort of GUI, where one step follows the next, &amp; everything's well laid out. There might be some difference in the profiles that cause video from one to work better on your device than video from another, &amp; one might be slightly faster than the competition, but not everyone is going to bother to check -- IMHO it's a matter of how much available time you have &amp; how much a little more speed &amp;/or quality matter to you personally, so if either is important &amp; you have the time, by all means check out Tipard DVD Ripper. Installation isn't bad, though it's not completely portable like some of the Wonderfox alternatives... Tipard DVD Ripper does use the registry rather than .ini &amp;/or .xml files to store settings, but we're talking just one key for the app, &amp; one for uninstall <em>[I recorded 174 total new entries, keys + values including the QT Trolltech cache]</em>. The "Tipard Studio" program folder holds 90 files, 8 folders, taking up ~60 MB -- if space is an issue, after backing up that folder maybe try the PortableApps.com App Compacter, which usually cuts the disk space these converters use roughly in half. Three more "Tipard Studio" folder were added: 1 to All Users App/Application Data, another was placed under User Local App/Application Data, with a 3rd found under My Documents. WOT gives it a bad rating. hpHosts gives it a bad rating. They have fake recommendation seals. ie They are not linked to the supposed recommending websites. Looks tempting, but I'll pass on this one. WOT gives it a bad rating. hpHosts gives it a bad rating. They have fake recommendation seals. ie They are not linked to the supposed recommending websites. The English on their web site is horrendous. (eg This best DVD Ripper - Tipard DVD Ripper could easily rip DVD to MP4...) Looks tempting, but I'll pass on this one. I've installed this giveaway without any problems on windows 7 32bit system and am currently converting a dvd title as I type. There are MANY types of formats to convert to, and had a bit of trouble finding divx avi file but once found the format I wanted, it went right to work converting. I would call this one a keeper, go ahead and get it! BTW, no viruses reported during installation. I've installed this giveaway without any problems on windows 7 32bit system and am currently converting a dvd title as I type. There are MANY types of formats to convert to, and had a bit of trouble finding divx avi file but once found the format I wanted, it went right to work converting. I would call this one a keeper, go ahead and get it! BTW, no viruses reported during installation. But this software has been offered before in many different guises. Some have been mentioned above. This offering seems to a be slightly updated GUI etc. Microsoft Security Essentials AV is not one for false positives, but it detected a threat during download and cleaned my PC. I don't trust WoT because it's so easily influenced by very few voters, but a look around the Tipard site is disconcerting because, for example, About Us gives no info whatsoever, Contact Us is solely by email... I really don't like the look of this company. I used their Video Converter before changing to a new laptop and found its "crop" feature really useful, I'd love to find a free prog with crop. I shan't install this GOTD because I don't desperately need it. Microsoft Security Essentials AV is not one for false positives, but it detected a threat during download and cleaned my PC. I don't trust WoT because it's so easily influenced by very few voters, but a look around the Tipard site is disconcerting because, for example, About Us gives no info whatsoever, Contact Us is solely by email... I really don't like the look of this company. I used their Video Converter before changing to a new laptop and found its "crop" feature really useful, I'd love to find a free prog with crop. I shan't install this GOTD because I don't desperately need it. According to WHOIS, Aiseesoft and Tipard reside at the same address in Scottsdale Arizona. This Tipard DVD Ripper 6.1.20 is a slight upgrade from the previous Aiseesoft one 6.1.10. On XP-3 I keep getting a message that the code is "invalid"
Yes the web site displays a RED WOT, however, I download the actual ".exe program" in “Sandboxie” & scanned it with my Antivirus, which gave me a clean “bill of health". Should spam appear I can block those. To MagnumMan. Yes the web site displays a RED WOT, however, I download the actual ".exe program" in “Sandboxie” &amp; scanned it with my Antivirus, which gave me a clean “bill of health". Should spam appear I can block those. I hope this helps. I am not impressed. In my opinion, this software is not worth the price of free, never mind $40.00. Web of Trust gives the web site 14 for trustworthiness and only 12 for privacy. No way am I going go install something made by a company with such a low ranking. Who knows what it could be doing in the background while you try to rip stuff. There's more safety dealing with the pirates, 'cause even they have a code of sorts. Thank you Tipard and GAOTD for the program. Can it rip a European made DVD to an American format so it can play on an American home DVD player? If so, what "profile" do I select? Generally, what "profile" to select for making a regular DVD that will play on a home DVD player? I'm wondering what the difference is between this and Tipard Video Converter that was offered oh...a month or so ago. I have that one and am wondering if I need this one or does this do less. From what I can tell, it does so maybe someone can give me an answer? I just don't want to install unnecessary programs. If the other does what this one does and more, that would be the only reason I'd pass. I've really liked using the Video Converter program! Easy, no-nonsense installation and registration on XP-3. The program opens with a getting started info, and there is more help inside the program, which is pretty intuitive to operate. Nice and simple GUI. Import from DVD is very quick, and it is possible to trim the video file prior to converting it. There are many formats to choose from, all of them are designed for various phones and similar portables, but the wmv format I chose worked fine on the computer as well. A 52 minute music video was compressed to 819 Mb in a YouTube-like quality. Converting procedure took about the same time as the length of the video. For me this is a keeper. Easy, no-nonsense installation and registration on XP-3. The program opens with a getting started info, and there is more help inside the program, which is pretty intuitive to operate. Nice and simple GUI. Import from DVD is very quick, and it is possible to trim the video file prior to converting it. There are many formats to choose from, all of them are designed for various phones and similar portables, but the wmv format I chose worked fine on the computer as well. A 52 minute music video was compressed to 819 Mb in a YouTube-like quality. Converting procedure took about the same time as the length of the video. For me this is a keeper. Would have been nice to have the MAC version offered as well. Excellent giveaway - thanks ! Works well on the 2 CSS protected rips I made. Very happy to see AMD Stream APP acceleration in this version as well as the usual CUDA. The only issues I have is the ad in the middle of the interface for a discount... sort of tacky..and that this is another product sold under many brands. I know most of the GOTD converters and rippers come from the same company, so I had to uninstall 4 others I've got from GOTD in the past. They were the same as this offering but older. It's like pressing an "UPGRADE" button but leaves a bunch of trash in the registry. It's easy to tell by the file names and that all too familiar interface we have seen each time GOTD gives away video converters. I guess you could call it "upgrading" but with the added registry clutter of constantly uninstalling the same products under different software companies. Oh, well! It's free and does the task well and the interface is really easy to use. Kudos to GOTD and "Tippard" (or whatever the brand de' jour is ;-) ) for giving away this nice and useful offering. Works well on the 2 CSS protected rips I made. Very happy to see AMD Stream APP acceleration in this version as well as the usual CUDA. The only issues I have is the ad in the middle of the interface for a discount... sort of tacky..and that this is another product sold under many brands. I know most of the GOTD converters and rippers come from the same company, so I had to uninstall 4 others I've got from GOTD in the past. They were the same as this offering but older. It's like pressing an "UPGRADE" button but leaves a bunch of trash in the registry. It's easy to tell by the file names and that all too familiar interface we have seen each time GOTD gives away video converters. I guess you could call it "upgrading" but with the added registry clutter of constantly uninstalling the same products under different software companies. Oh, well! It's free and does the task well and the interface is really easy to use. Kudos to GOTD and "Tippard" (or whatever the brand de' jour is ;-) ) for giving away this nice and useful offering. convert DVD's from .avi format into .mtv format? Does Tipard DVD Ripper convert DVD's from .avi format into .mtv format? Tipard DVD Ripper is a winner. Installation and registration could not be easier on Vista Home Premium. The GUI is sleek and modern but more importantly, this program just works. Many conversion options are available and conversions are fast. Tipard DVD Ripper is a winner. Installation and registration could not be easier on Vista Home Premium. The GUI is sleek and modern but more importantly, this program <strong>just works.</strong> Many conversion options are available and conversions are fast. Did anyone notice that this software is 99.9% equal to Aiseesoft Blu-ray Ripper. Really, only UI graphic is a little bit different, but layout is same, functionality is same, even app directory structure / files are same. I dont know but this smells..
Did anyone notice that this software is 99.9% equal to <b>Aiseesoft Blu-ray Ripper</b>. Really, only UI graphic is a little bit different, but layout is same, functionality is same, even app directory structure / files are same. I dont know but this smells..
What about us poor Mac users, I see on the home page for this company that they do a Mac version. Please can you offer both versions when you do the offers, if they exist. Checked website prior to downloading this software, as I always do, and got greeted with a huge red flag by WOT. Site is full of spam and malware so one can only imagine what this software holds, too. No thanks, I'll pass on today's offering. Checked website prior to downloading this software, as I always do, and got greeted with a huge red flag by WOT. Site is full of spam and malware so one can only imagine what this software holds, too. No thanks, I'll pass on today's offering. Comparing this to the various editions of the Aiseesoft ripper software that have been given away here previously, you can see that this is clearly (a slightly more recent version of) the same program, just with a different skin applied. products at 50% off. Of course, the bargain-priced products are no exception.